In the late 1960s the coolest man on TV and radio was Simon Dee. I can remember the closing sequence of his TV show Dee Time as if it was yesterday. He drove a white E type Jaguar pausing only briefly to collect his glamorous girlfriend after which they zoomed off laughing. 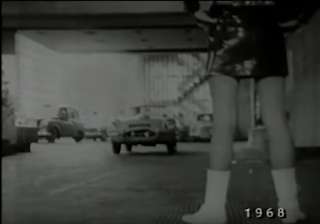 Of course the Jaguar was probably the property of the BBC and the glamorous girlfriend was a model hired for the filming (Lorna MacDonald) but all the same it sent all the right images to the viewer that this was a hip, cool trendy show to watch. Much later in the early 1980s I met a young graduate at party who worked at the bank in Chelsea where Simon Dee had his account. He told me that Simon Dee's account was rarely in credit. 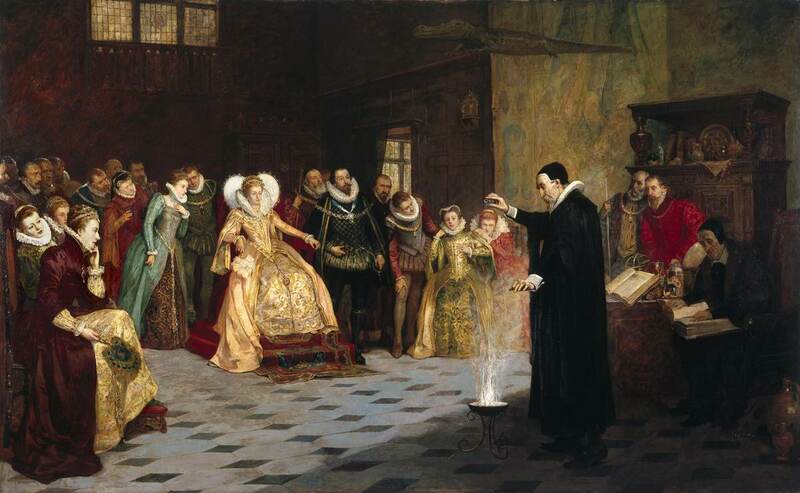 However, in the Elizabethan era the coolest man was probably the mathematician and astrologer John Dee as the painting below shows. He is thought to have given Shakespeare the inspiration to create the character Prospero in his play "The Tempest". On the table to the right of the image above can be seen either a lens or a mirror. John Dee had an extensive collection of mirrors and lenses. He also acted as tutor to the young Thomas Digges. This painting gave me an idea. With the lenses and mirrors that would have been available in the Tudor period how far could the Digges-Bourne Telescope been developed? In Bourne's report on Leonard Digges's perspective glass to Lord Burghley he mentions being able to read see far away ships at sea. Thomas Digges writes that he could read the lettering on coins in adjacent fields. This is far more than the humble 3X magnification I have been able to acheive so far. "...my father by his continual pain-full practices [practical experiments], assisted with Demonstrations Mathematicall, was able and sundrie Times hath by proportionall Glasses duly situate in convenient angles, not onely discovered things farre off, read letters, numbered peeces of money with the very coyne and superscription thereof, cast by some of his freends of purpose uppon Downes in open fields, but also at seven miles declared what had been doon at that instant in private places...."